The fates smiled on us Sunday as the Tactical Rifle and Shotgun Program had a wonderful day for shooting. 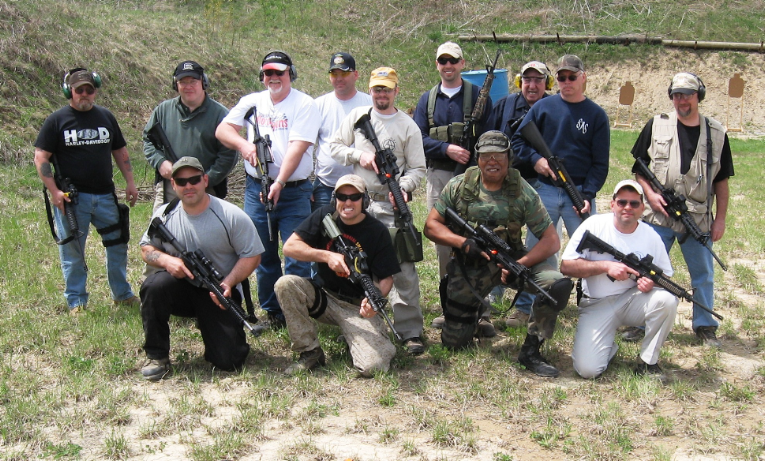 14 shooters enjoyed the Rifle Clinic and following Rifle CQB standards match. The CQB Match consisted of four main Stages with the Rifle, and a fifth “optional” stage with the Rifle and a transition to Handgun. Stage1 was advancing from 30 Yards in, Two was a Rapid Fire Drill, Three was retreating to Cover, and Four was the dreaded Weak Hand Shooting. New Shooters and some SO’s did well, with two SO’s providing excellent examples of jamming techniques to avoid while shooting left handed, and why dirty guns can be unreliable. Special Thanks to all of the Help during the match, especially to Tony LaValle who showed up at 9 (before the directors) with his 4-wheeler and Trailer and worked all day until 5!